I’m not just frustrated by erroneous food “facts” anymore. I’m furious. But here’s the deal: Accurate information is readily available if you care enough to look for it and apply a bit of common sense in distinguishing credible vs. bogus sources. But in my book, if you spread fear and confusion without checking facts because it fits with your worldview or increases your sales, you’re lying because you didn’t bother to find out the truth first. Here are two individuals currently topping my list of who NOT to trust with food information. Dr. Oz. Where do I start? His list of confidently-spouted untruths is so long, he’s even been called before Congress to defend some of his claims. In a recent example of how he stokes consumer fears, his program aired a segment titled “New GMO Pesticide Doctors are Warning Against.” In this segment, he warned that the recently EPA-approved herbicide Enlist Duo is brand-new, toxic, and contains an ingredient used in Agent Orange. Some quick facts: Enlist Duo is a combination of two very safe herbicides: 2, 4-D and glyphosate, neither of which are new. They are both readily available to consumers for use on lawns, precisely because their toxicity to humans and pets is low. The ingredient in Agent Orange that was determined to be contaminated with a deadly dioxin compound was 2, 4, 5-T, not 2, 4-D. In this example, Dr. Oz preys on fear of the unknown with emphasis on a “new pesticide,” and fear of harm by both emphasizing the term “toxic” and unfairly and inaccurately tying Enlist Duo to Agent Orange. Some facts: azodicarbonamide is an agent used to bleach flour and condition bread dough. Based on extensive review of safety studies, the FDA recognizes it as GRAS (generally recognized as safe). More facts: Cows and other livestock have been consuming genetically modified crops for nearly 20 years. Analysis of feeding study data, (representing billions of animals) collected before and after GMO crops were present in livestock feed, shows no impact on animal health. Over 2,000 credible studies have shown they have no adverse effect on human health, either. 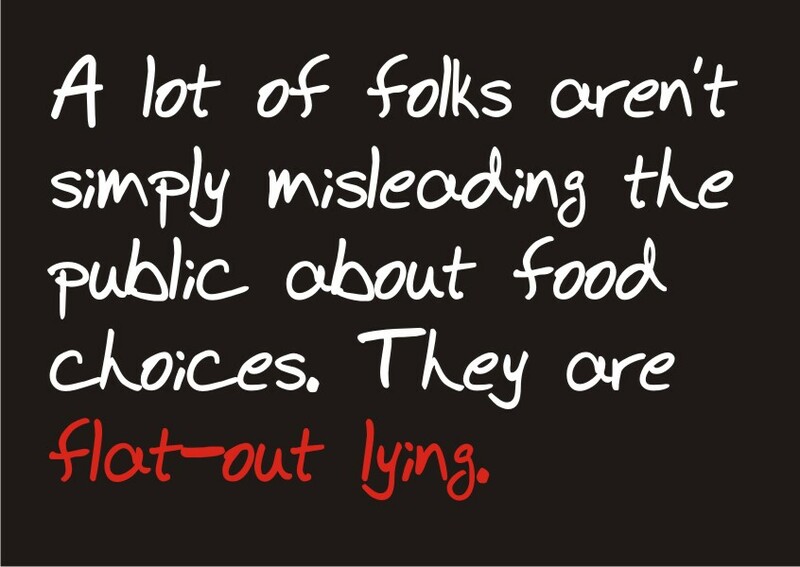 Unfortunately, Dr. Oz and Food Babe are only two of the most notable culprits in the quest to frighten the public (and sell alternative foods or supplements while doing so). There are many more, and they are adept at preying on our deepest worries about our health and safety. My advice? Approach everything you read, see, and hear with skepticism. 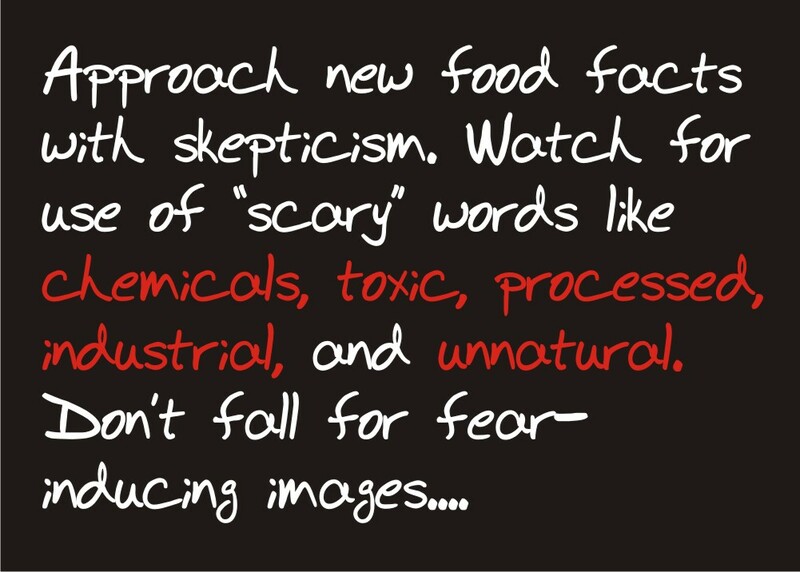 Watch for use of “scary” words like chemicals, toxic, processed, industrial, and unnatural. Don’t fall for fear-inducing images (like the ubiquitous syringe injecting a mysterious substance into an ear of corn). Check other sources, but be skeptical. If you don’t have time to check other sources, then do me a favor: Don’t share anything you learn from Dr. Oz, Food Babe, or anyone else who gets your attention by trying to scare you. This post appeared as the “Stray Kernels” column in the November 2014 issue of DeKalb County Farm Bureau’s Connections magazine.